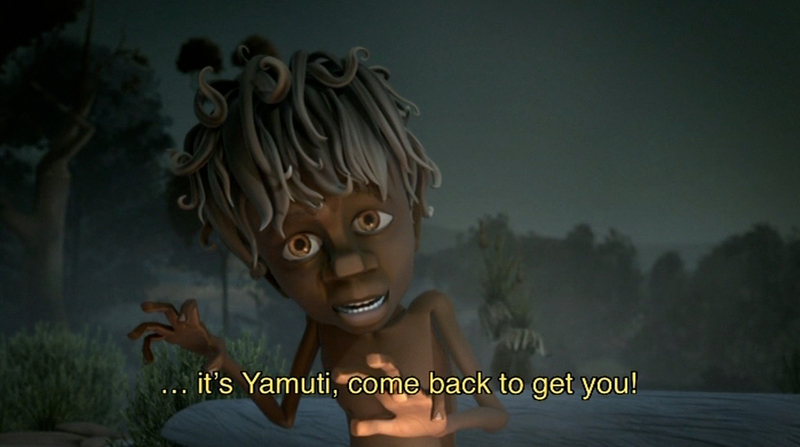 Wadu Matyidi was a project created with the South Australian Film Corporation designed to showcase the Adnyamathanha language, culture stories and traditions. The film is 9 minutes long and was created between 2007 and 2009. My roles on Wadu was as animation director, animator and character TD. As animation director it was my responsibility to give guidance and direction to a group of four other animators while creating animation myself. I was also character TD on this production which required the creation of three full body and facial rigs for the three hero characters that could perform the widest range of complex body mechanics and expressions possible. Of particular note is the joint based facial rig which was required to perform lip sync in the Adnyamathanha language spoken in the film. 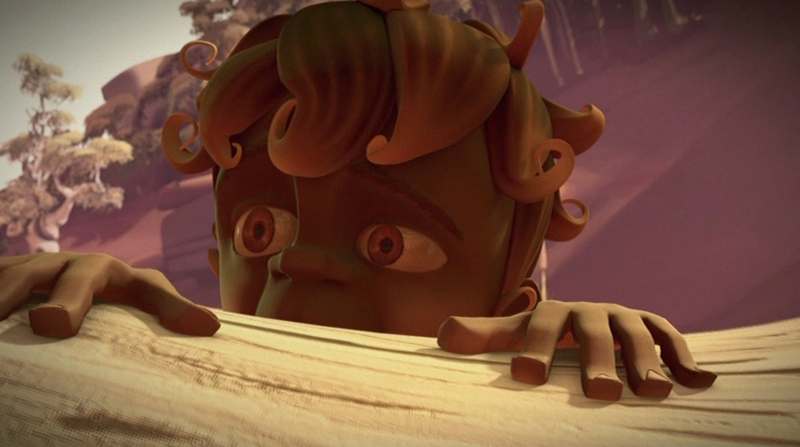 Below is a selection of stills from scenes I animated. This character has a full body and facial rig and is one of three identical hero character rigs in the project Wadu Matyidi. The aim was to create a rig capable of performing the widest range of emotions and complex body mechanics as possible with the fewest controls and attributes necessary. The rig has been designed with the animator in mind to allow them to focus on animation without worrying about the rig. Animation is created by using on screen controllers with very few sliders, buttons or key-able attributes.